Tower Mania is a beautiful building game. 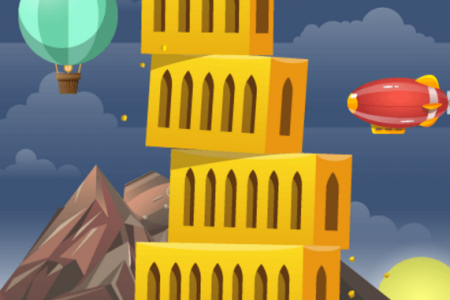 Place floating blocks to build the highest tower possible. By building, you earn coins depending on your precision of placement. Also, higher floors give you more coins. Coins can be used to buy various busters you can select before each game, or directly while playing. You can also unlock new type of towers. What tower will you build? Play Tower Mania online for free and enjoy! Click on the screen at the right moment to place a tower block.